Page 1 – click on any image for larger view. ANTIQUE FOLKART WHIRLIGIG PINOCCHIO CLICKER SPINNER. OLD GERMAN STEIN 13” TALL. 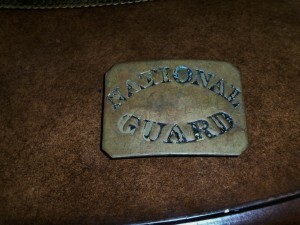 OLD GOLD LEAF MILITARY CAP. ORIGINAL TANKER BIERSEIDEL BMF HAND PAINTED PHEASANT. CARTIER PARIS INDIAN SHOOTING BOW STICK PIN. MILLER BROTHER 101 RANCH KIDS OUTFIT. TEXAS PRISON COPPER RATTLE SNAKE. WILL & FINCK SALOON JUICE SQUEEZER. SAN FRANCISCO,CA. 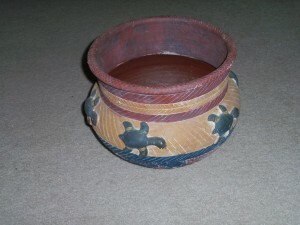 Pre Columbian Pottery Clay Vessel. French Louis XIV Bronze Mantel Clock. 1800’S CAST IRON TRACTOR ADV.SIGN. CIRCA 1500’s HAND CARVED WOOD CUP. PECOS RIVER TACKLE CO.DALLAS TEXAS. VINTAGE 22KT GOLD PEACOCK NECKLACE. ANTIQUE CAST IRON PAPER WEIGHT. ORIGNAL HANK WILLIAMS SENIOR POSTER. 1953 Hank Williams Senior Poster for the Grand Ole Opry. VINTAGE PORCELAIN WINCHESTER DOOR KNOBS. Presentation Brass Fire Hose Nozzles. 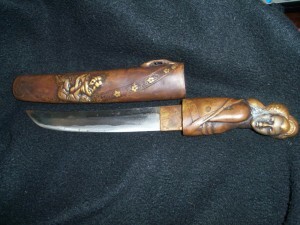 ANTIQUE ADV. BELL SOUPS ON. BROOKLYN NEW YORK ANTIQUE LOCK. 1800’S FORT RILEY KANSAS CAVALRY MEDAL. C. 1950S ROY ROGERS METAL LUNCH BOX. NAZI GOLD BRACELET & LOCKET. RARE WW1 US ARMY FLAG KIT 1918. CSA CIVIL WAR GRAVE MARKER. 1914 PRE NAZI GOLD BRACLET. MAJOR GENERAL VYCHESLAV BORISOV MILITARY HAT. 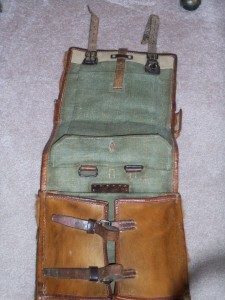 WWII SWITZERLAND MILITARY HORSEHIDE BACKPACK. VINTAGE PONTIL LUTZ 7/8 MARBLE. 1923 ACTRESS BETTE DAVIS PRESENTATION CASE. ANTIQUE TIFFANY & CO SOLID GLASS EGG. 1876 U.S.S. CO A. SMALL TRUNK. SNAIL INK WELL TIFFANY & CO.
MONSTER 23 POINT WHITETAIL BUCK. Vintage Shapleigh’s HAMMER FORGED axe. MONSTER 12 PT. WHITETAIL BUCK. 14K GOLD VINTAGE OMEGA WATCH. ANTIQUE OAK BOX SECRET COMPARTMENT. ANTIQUE LEATHER BOUND LAP DESK. ANTIQUE BI-FOLD GLASS ADVERTIZING CALIFORNIA PERFUME. COPPER HORSE SILVER OVERLAY STATUE. BIRDS OF AMERICA 12 1OZ SILVER BARS 24KT. Saudi Arabia ANTIQUE 21c SOLID GOLD HAND CRAFTED 4 AMETHYST STONES. 1700’s WOODEN FORK & SPOON. ANTIQUE LG ROSEVILLE CHERRY BLOSSOM TREE MISSION ART POTTERY FLOWER GARDEN VASE. WINCHESTER TRADE MARK WOOD LEVEL. 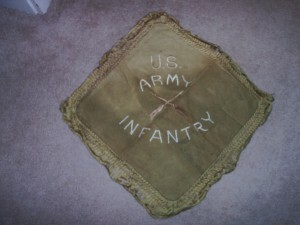 U.S.ARMY INFANTRY WW11 PILLOW CASE. 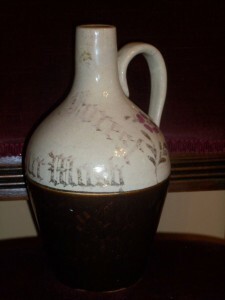 ANTIQUE SOUR MASH HAND PAINTED JUG. NEW GUINEA KILLED IN ACTION. OLD TEXAS A&M AGGIES BELT BUCKLE. HYGRADE WATER & SODA CO.ST.LOUIS MO.BOTTLE. SUN RAY WATER. PIAGET GOLD & DIAMOND WATCH. FALICK NOVICK ANTIQUE COPPER VASE. 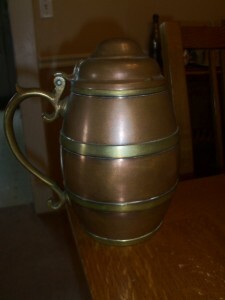 F.C.DECKEBACH COPPER & BRASS PITCHER CINCINNATI OHIO. TOBACCO JAR REPUBLIC OF CHINA. RARE NEW YORK YANKEES ROGER MARIS LIGHTER & MINI GLOVE. BALTIMORE & OHIO RAILROAD PLAYING CARDS. ANTIQUE WOOD TACKLE BOX W/LURES. RARE MOTHER OF PEARL PAINTED BRACLET. ANTIQUE ENAMEL MEAT GRINDER HARPER. KINGS COPPER & SILVER CHALICE. RARE 1875 CC 20 CENT COIN.